It’s beginning to look a lot like…shopping season! In the season of food indulgences, put some of these kitchen gadgets on your Christmas list to set yourself up for healthy success in the New Year. 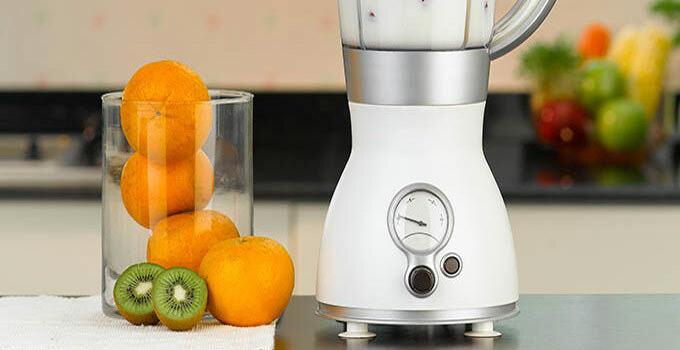 A blender is a perfect gift as it can help make a variety of healthy dishes, including smoothies and soups. You can also use a blender to froth milk for the perfect latte. The microplane grater is one of my very favorite kitchen toys because it can be used to add flavor to dishes without many calories. Use it to zest citrus, grate ginger or garlic and even shave parmesan to top dishes. And if you’re really feeling adventurous, you can use it to dust chocolate atop a dessert or hot chocolate.­ The small grates allow for maximum taste without having to use much of any one ingredient—a registered dietitian’s dream! Muffin tins are for more than just muffins! They are the perfect portion control vessel—whether you’re making Egg & Cheese Bites for breakfast or individual mini meatloaves for dinner. And as a mom of two little boys, one of my favorite uses for a muffin tin is to pre-scoop ice cream for parties. In the South, most kitchens are already stocked with a cast iron skillet, but if you don’t have one, be sure to add it to your holiday wish list. Not only is it non-stick, but it also fortifies the foods you are cooking in the skillet with iron. And here’s a dietitian secret: pair your iron-rich foods with dairy foods to increase the iron absorption. As you think about your New Year Resolutions, don’t just focus on food to lose weight—remember that kitchen utensils can help you achieve your goals. What’s your favorite healthy kitchen gadget? Share with me on Twitter at @TheDairyRD.